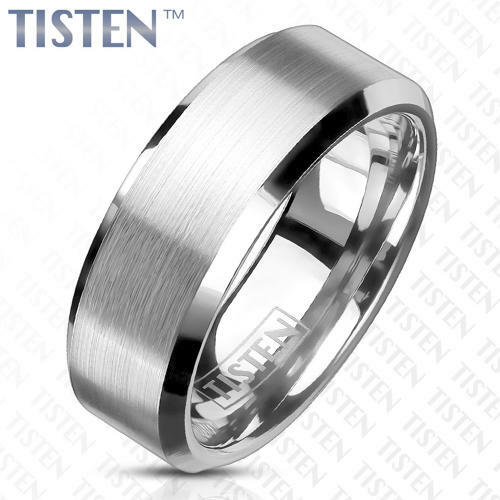 Tisten is a combination of Titanium & Tungsten, giving you the strength and toughness along with being hyper-allergenic. Centre of the ring is matt and has polished bevelled edges. All sizes are measured to the ring centre. If the required size is not showing, please contact us through the 'Enquire' button below. This ring is also available in 6mm width, click here.